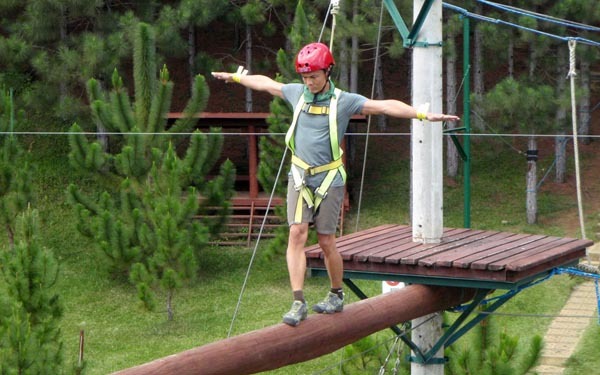 I'd been hearing about Dahilayan Adventure Park wherever I went in Mindanao - GenSan, Davao City, Malaybalay and continue to hear about it in Cagayan de Oro. It seems to be the must-experience thing when in Mindanao. 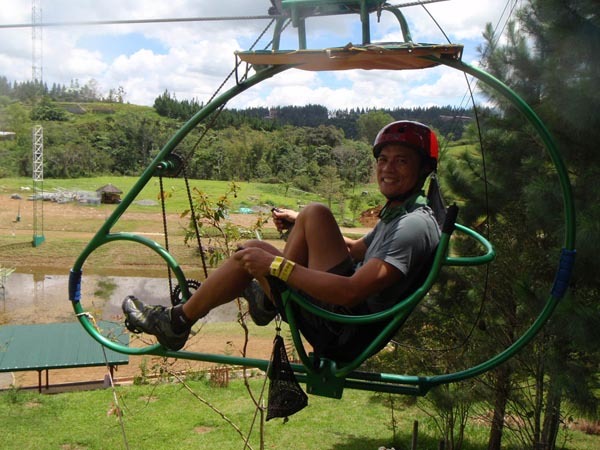 They offer 3 zip lines, the longest one is 840 meters long and was once Asia's longest zip line. 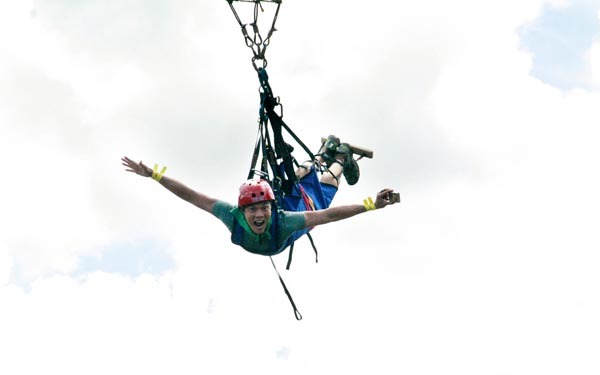 They also have the Drop Zone, Rope Course and Flying Lizard. 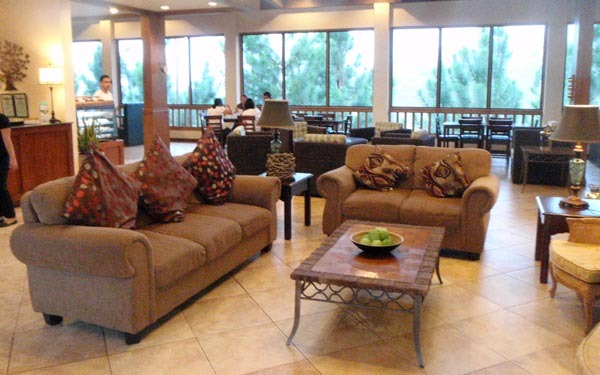 For accommodation, there is the country club-inspired Pinegrove Mountain Lodge. At 1163 meters above sea level, Dahilayan offers crisp cool mountain air by day, and chilly sweater-weather at night. I met the proprietor of Great White Rafting and offered to arrange an overnight tour for me at Dahilayan Adventure Park. Whoa! How cool is that? It was also very timely. The following day, I had to check out of my beautiful room at Uptown Condotel and had nowhere else to go. 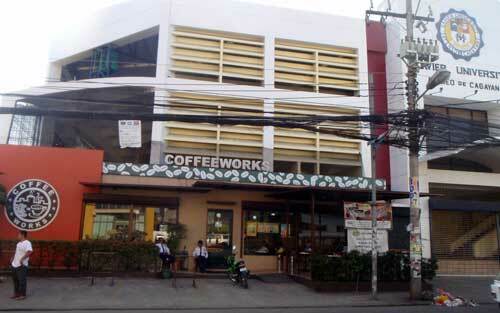 I waited at the Coffee Works shoppe by Xavier University 8am the following day together with other tourists headed for Dahilayan Adventure Park. A shuttle service would take us there. 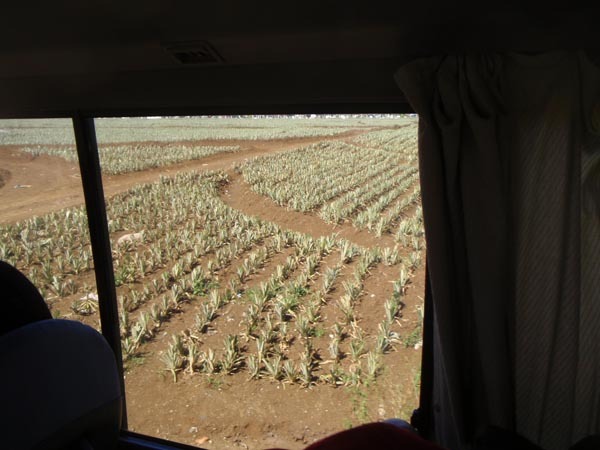 The trip was roughly 1.5 hours crossing the provincial boundary into Manolo Fortich, Bukidnon, passing through vast pineapple fields owned by the multinational, Del Monte brand. I was booked for a night at Pinegrove Mountain Lodge. 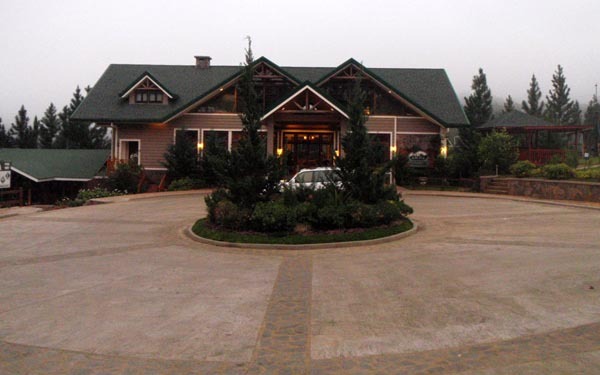 The hotel itself is a picturesque mountain lodge looking like a country club, tucked neatly into the highlands. 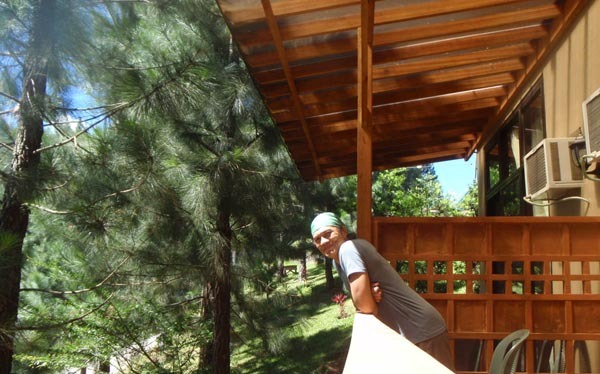 I was given a charming room with a wooden balcony facing the higher mountains with a full view of the nearby terrain. Pine trees adorned the landscape. I was reminded of Baguio - a mountain city in the northern Luzon. The room had the amenities of a luxury city hotel - 32' LCD tv, cable, hot/cold shower, airconditioning (although you probably won't need it). The staff was professional and friendly. If you're looking for an ideal mountain getaway for some weekend romance, this is it! Wishlist? I hope they offer in-room wifi. The video stream was staggered but I was told it was only temporary due to a server shift by the provider, GSAT. This caught me by surprise. Hotel food is usually bland or perhaps an afterthought (except Parklane Hotel in Cebu where I really enjoyed their buffet breakfast...my friends too!). I ordered the Bangus Salpicao (P180) and it was delicious! 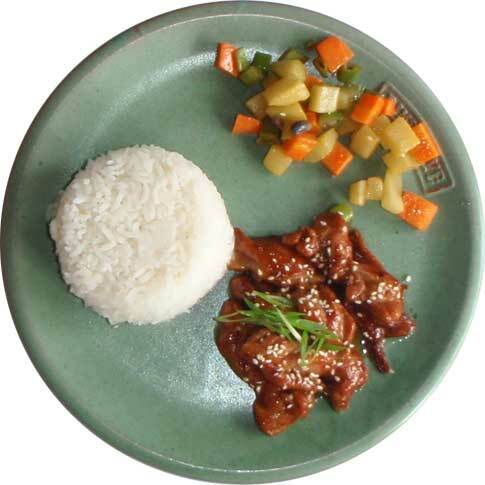 I picked on a friend's Chicken Terriyaki (P180) and it was equally tasty. 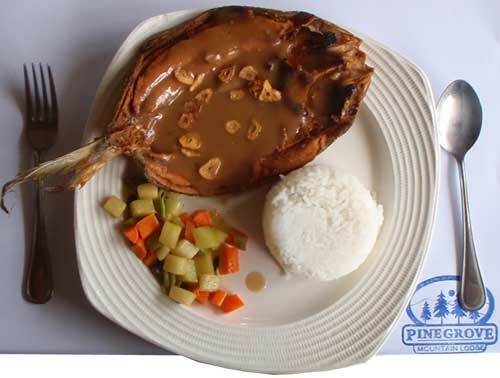 Later that night, I had the Steam Dory Fillet in ginger sauce (P180). Again it was fantastic. 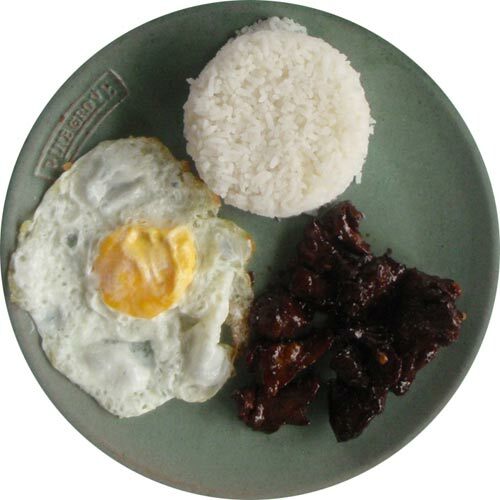 For breakfast (included in the lodging), I ordered Spanish Omelette - that was ok, but not as attention-calling as the rest (and I ordered that against the Beef Tapa that the staff Fretz and Ricky recommended). The accommodation included breakfast with 3-in-1 coffee. 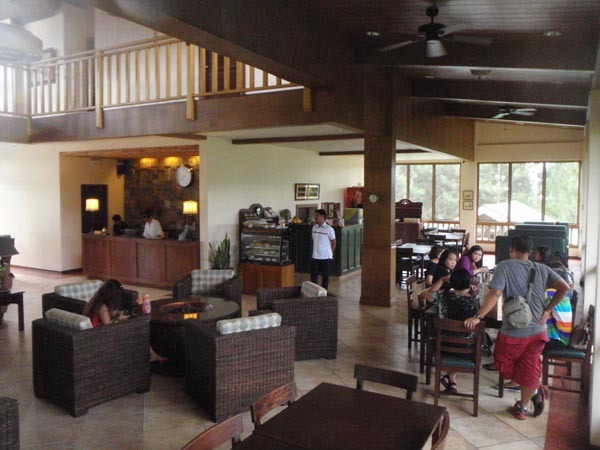 I thought a 3-in-1 had no place in such an elegant place as Pinegrove Mountain Lodge - well, just my humble 'brewed coffee' opinion given Bukidnon's famous highland arabica coffee beans (someone told me it's actually an even rarer Excelsa coffee variety). I learned later on that the family had a strong background in culinary pursuits, which explains the high quality of the food. Honey was the one who took me around, giving me a heads up on the mountain resort and introduced me to the ride managers and did the hand-holding as I tried all the offerings. They have 3 ziplines - seated (on a harness) 150m and 320m and the planked 840m. The 840m was Asia's longest dual zipline at one point. The connected zipline ride for the 150m and 320m was already a rush. I was rotating around (wind factor) as I was going forward with my full body harness. The real deal here is really the 840m zipline. With a full body wrap in a plank position, I picked up speed as I blazed through the forest canopy, feeling like going warp-speed in Startrek. This is another adrenaline rush but with a nice twist. Hangin from 2 towers, a rope pulls you up and behind until you're 120 feet above. You go into a wild pendulum swing, but here's the twist - you release yourself. Nobody does it for you. It's a game of nerves. I hear from the staff that some take a really long time being suspended up there because they couldn't muster enough courage to pull the cord. But once you do, all hell breaks loose as you fall into what feels like a kamikaze dive. This is a great team building exercise. You go through a rope course with 8 sections on 2 levels. You're held by a harness in case you fall but you don't feel the harness tug so it feels like holding on for dear life as you grab a rope grid to get to the next point, or balance yourself through a horizontal pole, etc. I could imagine that office animosities melt down as team players cheer each other and tackle scary obstacles with a common goal. This is about 600 meters of pedal-powered ride through a railed loop suspended about 30 feet from the ground. It's a good workout but it doesn't have the adrenaline rush or the fun-factor of the other offerings. This is the only ride that didn't do it for me. But it has potential. If it were me, I would put a freewheeling (independent of the pedals) downhill portion going on a curve where you feel the G-force as you feel the bike actually make a banking from the top. I would also make the seat-to-pedal distance adjustable to fit riders of different heights. I would also add gears to allow a steeper vertical climb. But that's just me. Given what I've seen elsewhere, I see great potential for the existing facilites and terrain. One is a Catapult. It's similar to the Dropzone, but you're pulled from below and then released like a slingshot - we're talking maybe up to 3Gs (normal gravity x 3!) on this one. I don't think he wants to be named. But I had a brief talk with him. That talk is a highlight for me too. He was open about his plans for expansion. Mr. Owner does not only expand, he stamps a strong iconic statement in his expansion - call it a milestone-in-the-making. It's not hot air. He showed me the plans and pictures for the vertical, horizontal and exponential growth of his enterprises - it's not just a wish list. He impressed me as a forward-thinking visionary. Others pre-empted my meeting with him saying, "he is a powerful man". After that meeting, I think he has more dimension to simply being powerful. In my parlance, I met another animated life around the bend. It won't take a full day to do all the rides. What to do next before boarding the 3pm shuttle back to Cagayan de Oro? 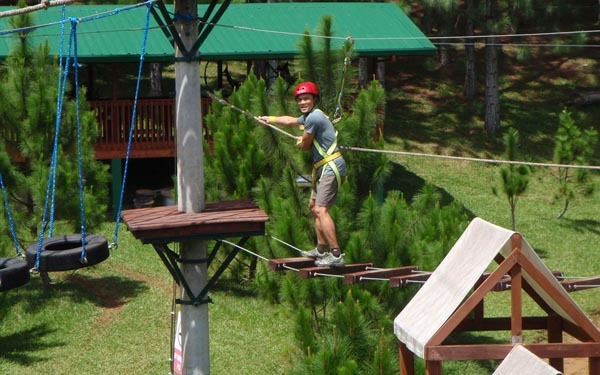 While Dahilayan Adventure Park remains the crowd-drawer, there are other noteworthy establishments just adjacent - Forest Park, D' Cowboy's Inn and Dahilayan Garden. You can do all sorts. My mind was racing as we headed back to Cagayan de Oro. I was excited to see Mr. Owner's ambitious plans become a reality. What he told me is probably confidential so I won't give it away. I can't help thinking too that I didn't make the most of a night's stay in the romantic Pinegrove Mountain Lodge being alone - sigh! That taxes my sanity. Next time...next time! What can I say? I really had a great time. 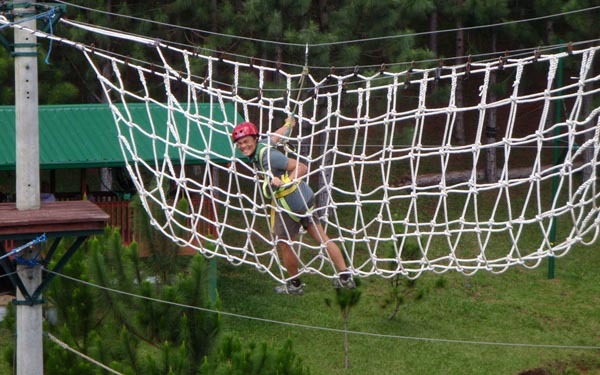 It's worth the trip to Dahilayan...it's more fun in Dahilayan Adventure Park!. 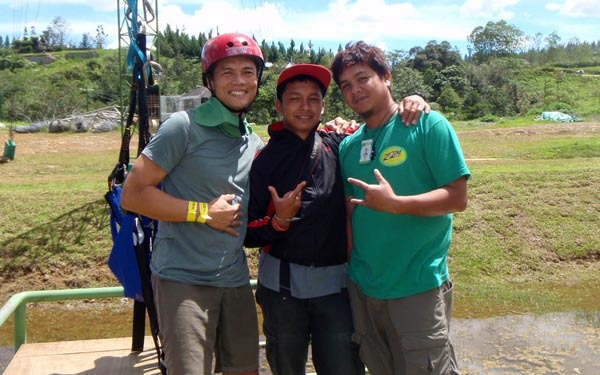 Many many thanks to the owners of Dahilayan Adventure Park, Great White Rafting, Ravi and the cool and friendly staff. 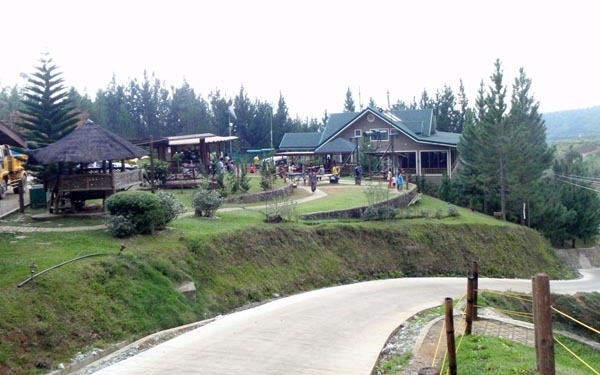 by car - take the Davao - Bukidnon Highway and take a right on the Alae Junction. 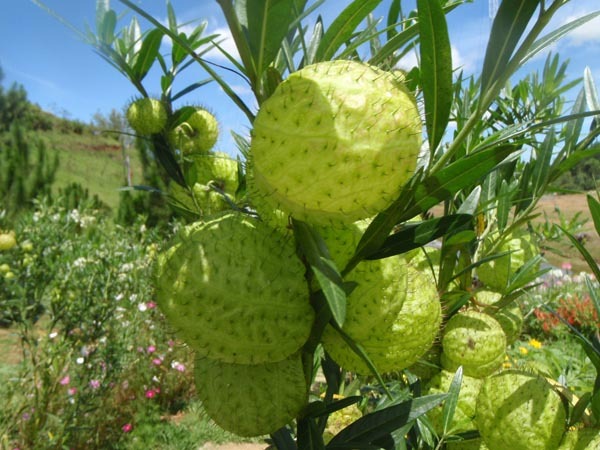 Drive 25 kms further, passing through the pineapple plantation and passing through Camp Philips via Mampayag. You'll reach Dahilayan. 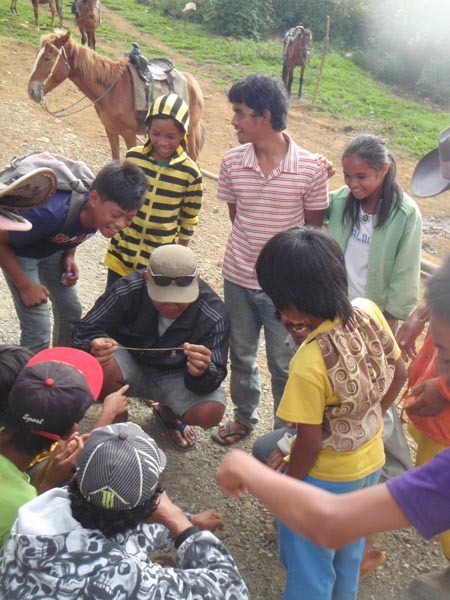 by jeep or public van - from Agora Market, take the jeep or van and ask to be dropped off at Camp Philips. 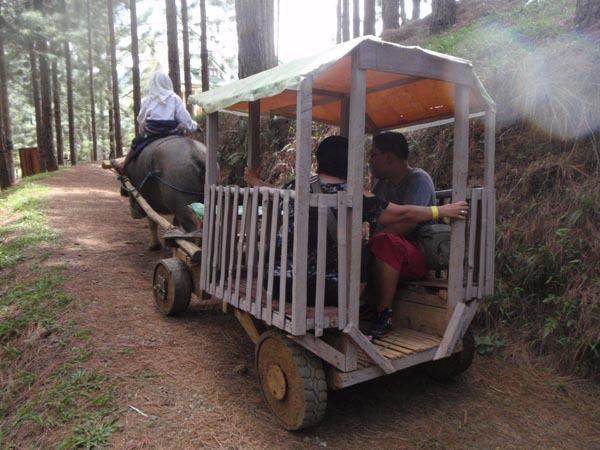 From there, take the habal-habal (~P150/person one way) straight to Dahilayan Adventure Park. Total trip is around 2 hours. This is a shorter trip compared to #3. The roads are better too. 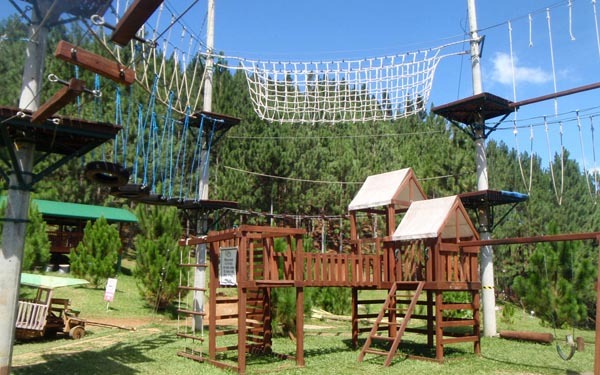 by private van - Dahilayan Adventure Park can arrange for the rental at P3k up to 12 pax. Rental vans are selected for road worthiness and age of vehicle. Email to make arrangements. 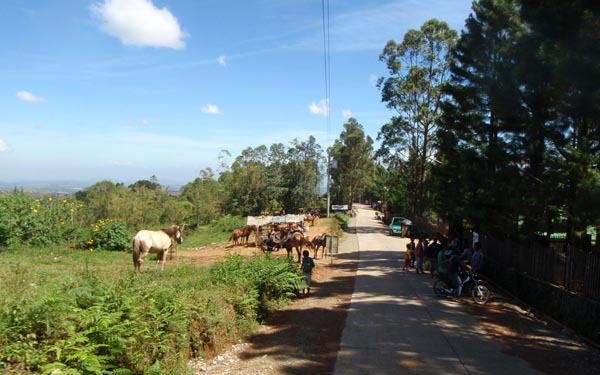 by Rural Bus - from Agora Market, take the Rural bus line going to Malaybalay. Ask to be dropped off at Manolo Fortich. From there, take the habal-habal (~P200/person one way) straight to Dahilayan Adventure Park. Total trip is around 2.5 hours. 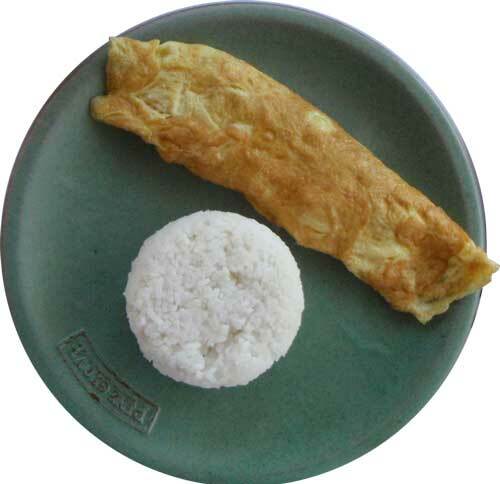 (Mar 5, 2013) a must try! Thanks for posting.